But to me, nothing says island dressing quite like a summer maxi! Like this one from eShakti. It has a gorgeous embroidered floral bib, cut-away shoulders, pockets, and ruffle hem. Frankly, I could do without the ruffle on the bottom, but it doesn't take away from how pretty this dress is. I always like using eShakti because their sizes range from 0-36W, and you can customize everything according to your measurements - which is perfect for a vertically challenged curvy girl like myself. This dress is floor length, but I asked to have it cut by 3'' so I could wear it with flats and not heels. (You will have to adjust it depending on how you want to wear it.) Honestly, when I saw this dress online I liked it, but when I saw it person and I loooved it. It's so beautiful, and of course fits me like a glove! What is your go-to vacation piece? 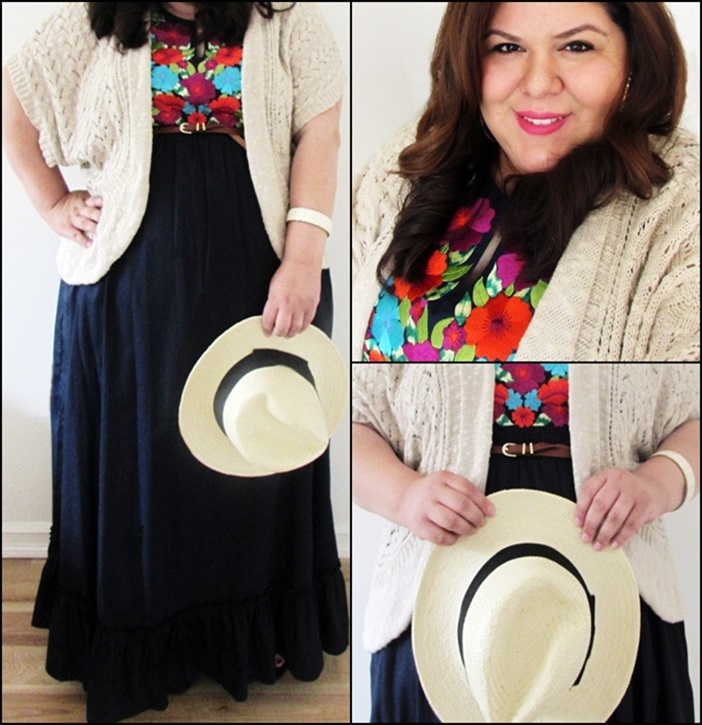 The maxi dress looks great on you! love the colors!